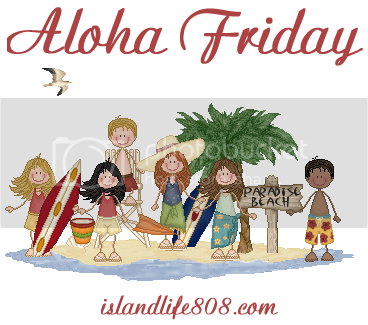 My pal Kailani at An Island Life has devised a great meme, Aloha Friday based upon a very popular term used in Hawaii when island residents take it easy and look forward to the upcoming weekend – kind of like T.G.I.F. The meme involves no long posts, no deep soul searching revelations . . . just a little fun. Each Friday, Kailani posts a simple question or topic of conversation. Visitors leave a comment on Kailani’s site and then post a question or short discussion topic on their own site. Participants visit each other’s sites and respond with a comment! Even if you do not post a question or topic on your site, you can still play by simply leaving a comment! Do you shop on Black Friday (the day after Thanksgiving)? If not, why not? If so, what is your usual shopping pattern? Are you one of the folks in line before sunrise in an effort to get a great early-bird special, a casual or leisurely shopper, or . . . ? Photo Hunt: I love . . . I carry . . . If we do venture out on Black Friday, it’s generally only to Starbucks and the movies. Most of my Christmas shopping is done in little bits, all year, anyway. Not me! Ever since I got run over by a crazy woman with a runaway shopping cart, I’ve decided to avoid it at all costs! Never! I do not do crowds for any reason. I even wait to be the last person on and off an airplane. I also loathe shopping and do most all of it online. If I do go shopping it’s never when there might be a crowd. I’ve never done anything but grocery shopping on black Friday, the stores are wonderfully empty then. I’ve thought about heading to the mall this year at 6 a.m. just for the insane experience, to see if it’s really as crazy as everyone says, but I probably won’t end up doing it. I don’t shop on “Black Friday.” I don’t like the crowds. Usually by then I’m done with my shopping. Sounds like a fun meme! I’ll join the roll next week, Janie! I don’t shop on Black Friday. I enjoy the quiet. I shop at JC Penneys, which sits in a magazine rack or lives online! Life’s too short, and there are too many leftovers to enjoy after everyone bugs out! I’ve only shopped one Black Friday, and that was enough for me. I don’t mind crowds, but the crazy shoppers is another story. Sure you can get great deals, but everything is picked over, and people do literally ‘run you over’. LOL! This year I will be working, as I’ll have Thanksgiving OFF!! It’s supposed to be the busiest day of the year, and the restaurant is right across from the mall. Hope you are having a great weekend, and congrats on your Weight Loss progress, that’s fantastic!! Up until this year I’ve gone every time. I am an early bird out there in line before the stores open. It’s fun and I usually go with my mom, aunt and cousin. But my husband got a new job and we moved to the absolute boonies this summer and now I’m where there are no stores, so I don’t even have the option of shopping that day. I would never even think of doing it. I do not shop crowds. This year I will be attempting a hand made Christmas. We have a dream of a family vacation next year, braces in the new year for my daughter and a implant (molar) for me. Hi JHS. Please pardon my late visit. We don’t celebrate Thanksgiving here but I have heard of Black Friday. It’s an interesting event. To me Black Friday is online shopping!! I can’t stand crowds, and loved the day I could just order what I wanted. I wanna do this. I always pass it with great enjoyment. Thanks for sharing.